Your summer is poised for success if your kitchen is prepared, stocked and inviting. 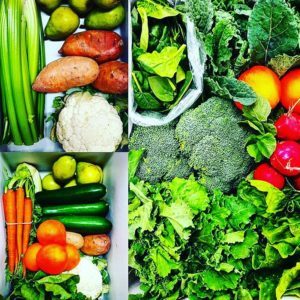 It is nearly impossible to make unhealthy choices if gorgeous summer produce is staring you in the face and your pantry is lined with basics to pull off meals and snacks you feel good about. There is nothing better than local, seasonal and fresh, so make a point to visit farmer’s markets, fruit and vegetables stands and local garden shops for the best finds on produce, eggs, local fish and grass fed beef as well as high quality homemade breads, cereals and baked goods. Once you’re stocked up with high quality ingredients, here are some top picks to set you up for a summer of successful eating. Fruit: if you’re like many of us, you’re more inclined to eat sliced fruit than whole. Summer is the perfect time for stone fruits, like peaches, plums, apricots and cherries. Of course, hacking up a watermelon, cantaloupe, honeydew and sugar kissed melon means you have fruit to go with breakfast and snacks. Leafy greens: early summer is the absolute best time for lettuces, spinach and delicate herbs, so buy pounds of it. Wash it well and spin it dry. Stored in the refrigerator with a damp paper towel, it will last several days (but you shouldn’t need it to). Add herbs to your eggs and lettuces to your salads and wraps. Leafy greens cook down, so plan for that by buying big! Cold soups and salads: Whip out your blendtec and create gazpacho or cucumber soup as a refreshing snack or appetizer. Absolutely make a giant bean salad, cucumber salad or tomato salad as a side dish. You get a gold star if you portion these creations into grab and go containers!